Believe it or not, travelling around driving new cars is not all it's cracked up to be. Because for every launch event with loads of time driving the car on superb roads, there's another that involves reaching some far-flung location, only for a precious few kilometres on a plain bit of tarmac for dynamic impressions to be reached. Yes, yes, hearts shall not bleed. Point is, given they're all ostensibly the same - come here, drive the car, hopefully you'll write about the car - some new car launches are far more successful than others. 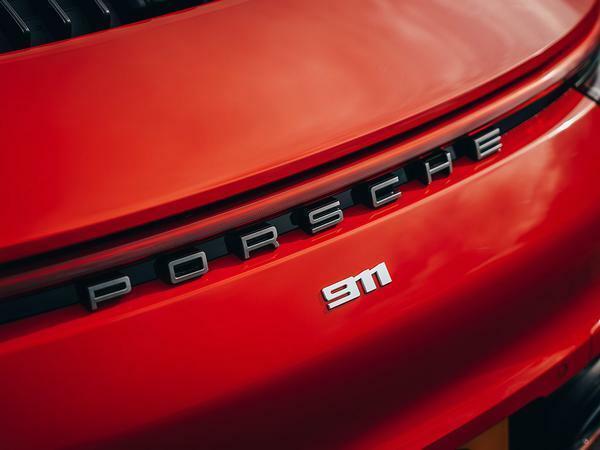 What does that have to do with the 992-era of 911 Carrera? Well, while the international launch event in Spain was good, the one specifically laid on for the UK was outstanding. 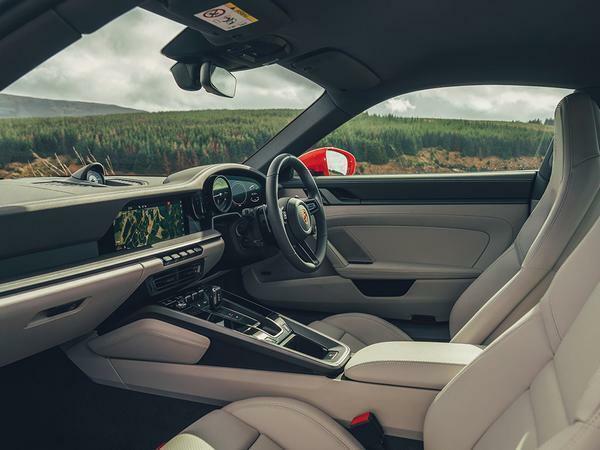 Using the roads around Kielder and the North Pennines - location for our recent Dream Drive and 4WD Heroes features - it meant ample opportunity to drive the car hard and fast for a long time. Which is exactly what you'd want, right? It also meant an opportunity to - hopefully, at least - answer a few of the queries that had arisen from that original drive. How big does it feel in the UK? How entertaining can it actually be when you can't legally drive at more than 70mph? 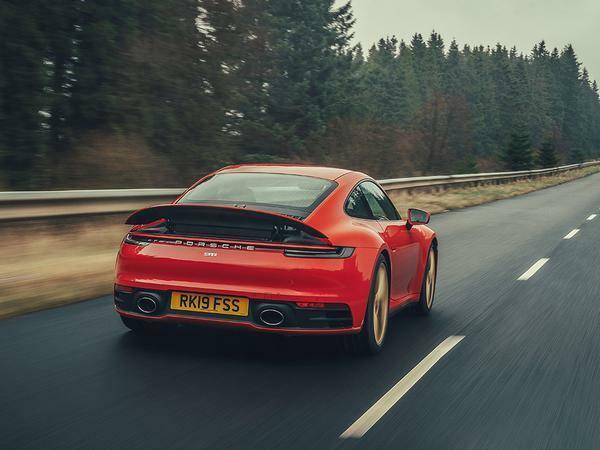 Is the 992 really just a Panamera two-door? That'll sound disingenuous, but the overriding impression from early exposure was of a car complete if not compelling; one very good to drive yet lacking that certain something that made you yearn for another go. 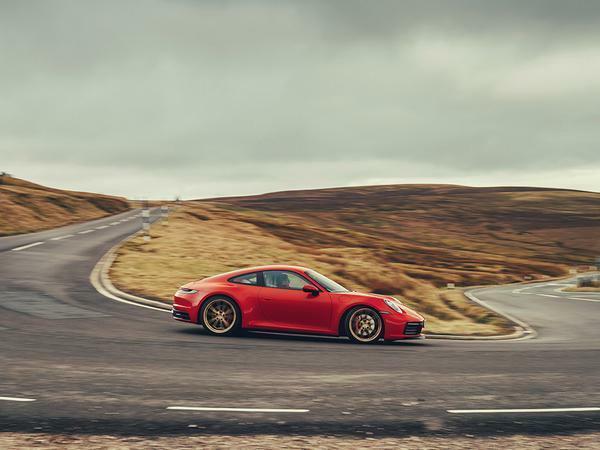 Handily, the humble British A-road, combined with our famously fickle weather, has worked wonders for the 992. 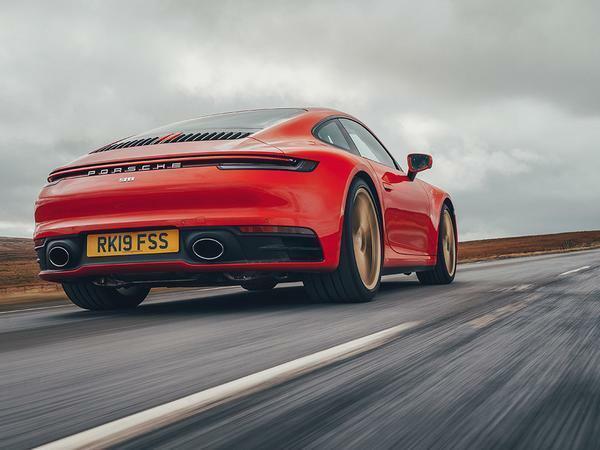 Not that it was in any way lacking before, obviously; only now an extended drive in the UK has allowed respectful admiration to morph into something not far off outright enthusiasm - it's a fantastic sports car. Indeed, it's worth dealing with those minor (and scarce) drawbacks of the 992 first, because there's a lot of good to discuss. Yes, it can feel a big car sometimes, especially on more minor British routes. 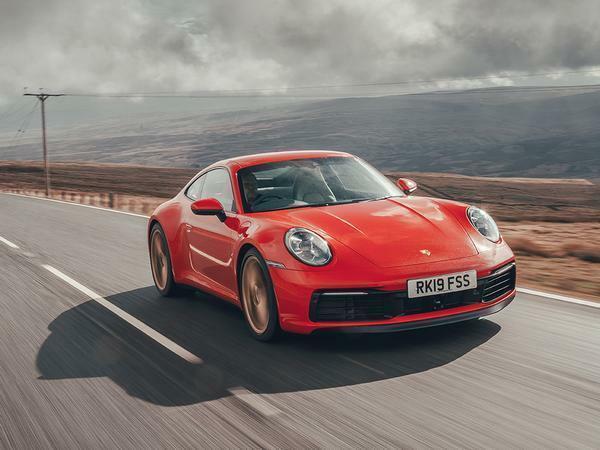 Though it should be said the 911 hasn't been a truly nimble, compact car for a very, very long time, reflecting customer demand for a more accommodating sports car in every sense. Moreover, it's hardly fair to single out Porsche for ever expanding dimensions when everyone is at it. An M5 feels big in Britain, as can an Aston Vantage, Nissan GT-R and others; once more wieldy models are now bigger than ever. It's disappointing, yes, but hardly unique to one sector or manufacturer. Other gripes? They're qualms as much as anything. There is quite a bit of tyre noise at a cruise, the engine might sound a tad more exciting and, superb though the new PDK gearbox is, there are certainly points where a manual would make the process more enjoyable still. 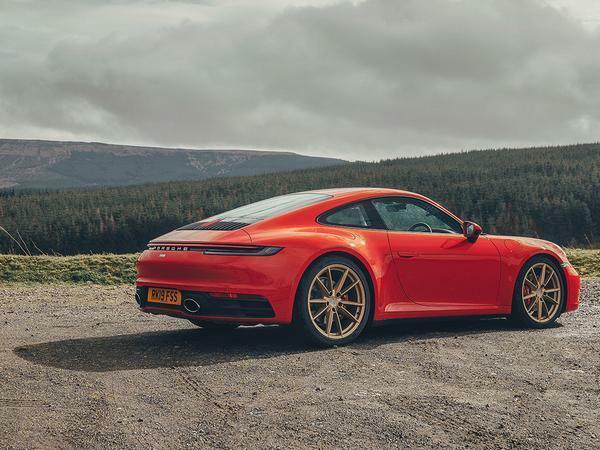 That feeling never emerges in certain cars - McLarens most notably, but also the AMG GT as another example - though it's definitely present here, perhaps with knowledge of how good Porsche manuals can be. For the dedicated few who are interested, it's due later this year. In the weird launch bubble where every single car seen is the model being tested, it's hard to get any perspective on its real-world impact and presence. Park one of the first UK 992s up anywhere, though, and it's clear that, while familiar as a 911, this is a more dramatic and attention-grabbing Carrera than there's ever before. 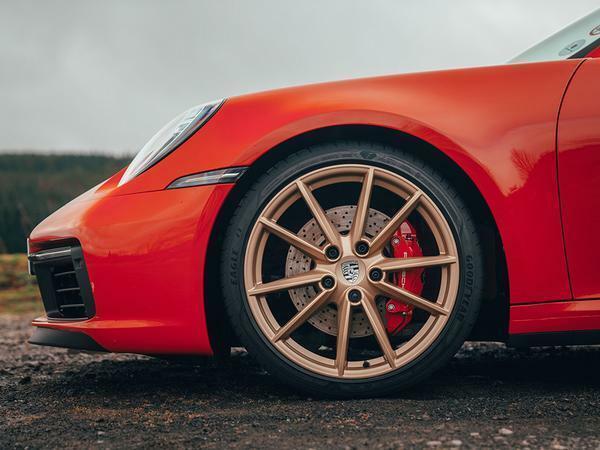 It's broad and assertive, new options like the gold wheel colour creating a sense of occasion that's too often been absent in regular 911s. That continues inside; previous cabins were fine, without being anything too remarkable. Now, however, it's a real showpiece environment, expensive, lavish and exciting. Again, the variety of options available for leathers and materials makes it feel a more special kind of sports car than ever. 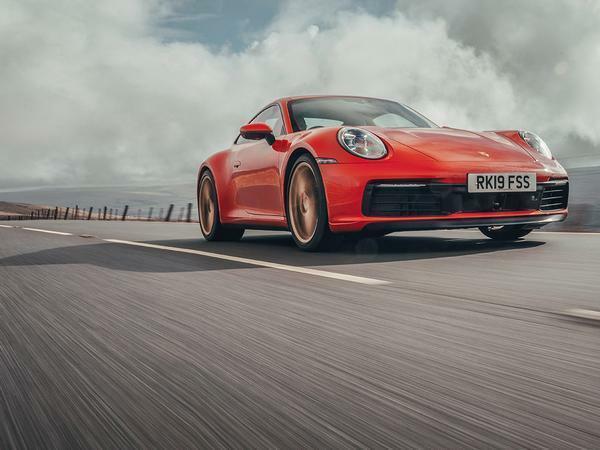 If you're one of the vast majority buying a 992 as a something everyday usable but sporty, desirable and inviting, this will count for an awful lot. And if you're one actually buying it to drive? You're going to love it. 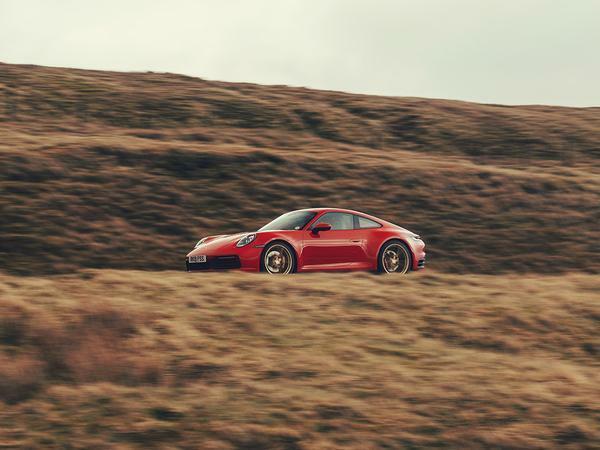 More than a 991, crucially, and more than any rival that currently comes to mind. You expected something else to happen? 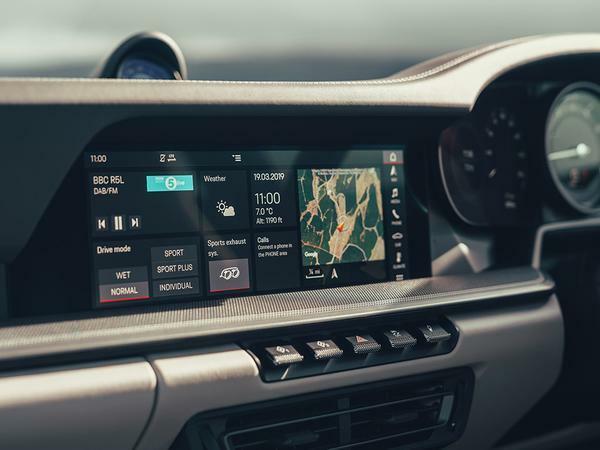 Where an international launch route can (very deliberately) give the car an easy ride, a technical, demanding, unrelenting UK drive can really expose something that isn't up to scratch - not so here. 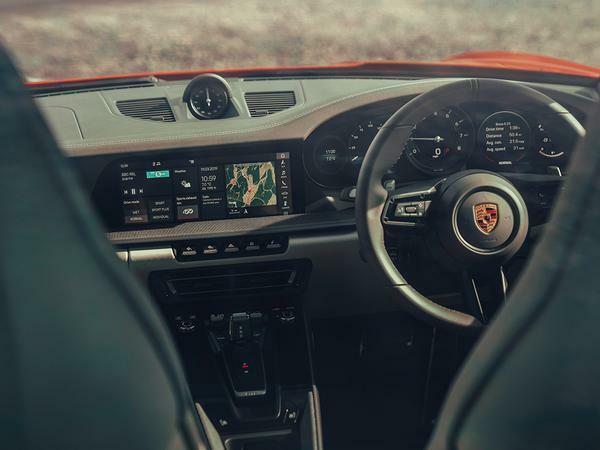 The new eight-speed PDK means closer ratios than the seven, giving greater scope to explore them; third will still take a 911 close to ban territory, but no longer right into it. Which is a bonus. The electric steering is exceptional for clarity of response and feedback, giving yet more confidence in every part of a turn. 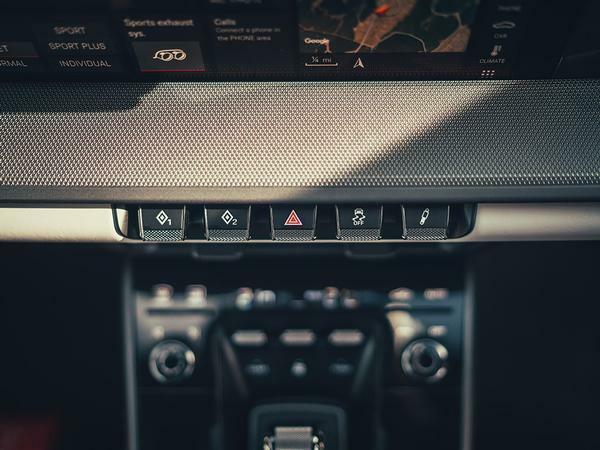 Further evolution of the driving assists means additional leeway and even more subtle interventions, the slippery conditions playing to this perfectly in both two- and four-wheel drive versions. There are still tangible sports car bits that make it feel like a 911 (and therefore not like anything else, which is nice), at a time when it looked like that baby might have gone out with the bathwater. So sometimes the front end goes just a little bit light, sometimes the traction is even better than expected, and sometimes it'll just wiggle about under power but never feel like any is being wasted. That it'll do all that with damping of just supreme quality - the normal mode allowing fluidity, the stiffer one ruthless yet still relaxed- excellent brakes and all the performance anyone could ever want leaves the end result as hoped for: a consummately talented, immensely enjoyable sports car. Which should hopefully say almost all that there is to say about the new 911. 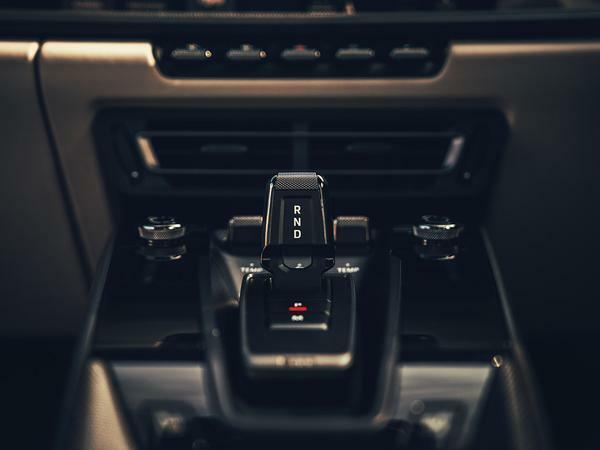 The changes wrought to create that lavish new interior have made it a lovelier everyday proposition and, on this experience at least, the changes underneath have made it even better to drive. It's a formidable combination, then, the 992 immediately out of the blocks fighting in a way the 991 probably wasn't. It feels like all the technology introduced to such dismay in that generation - the electric steering, the turbos and so on - has come of age, creating a sports car as capable as it is endearing and as technically adept as it is subjectively desirable. 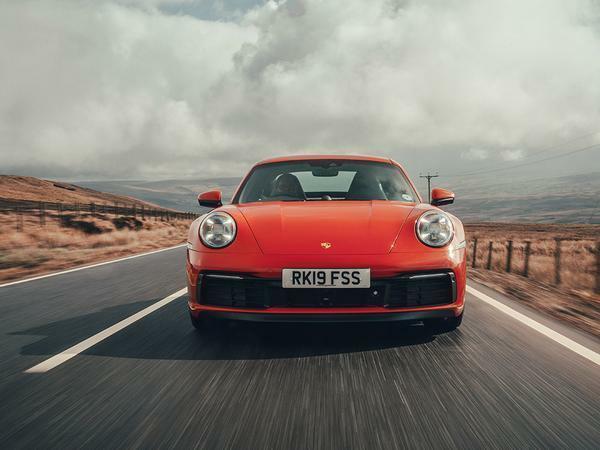 It'll come as little surprise, particularly (and frustratingly) not to those in charge of making the rivals, but this 911 has to be the best sports car that £100,000 currently buys. Again. I should be the target market for this car I think. Instead my thought is, that's not a 100k car and general apathy toward it at that price. It's a stark contrast to driving home in a normal 997 thinking I'd just bought pretty much the best car in the world. Nice that they've sorted out the interior though. Interesting comment about the size, one of my few complaints about owning a gtr is the sheer size of the damn thing. I'm sure if I could figure out how to access the wasted space in there I'd be able to make a fortune smuggling immigrants across the channel. The sensible arrangement on the Panamera looks far better IMHO. Amazing car. Great value for what if offers. The 992 is certainly growing on me, after initial meh over the single rear light across the back of the car. I've yet to see one in the flesh however. This combination, Guards Red with gold wheels - it really works too. Mmm ... might have to pop into Porsche for a look and a test drive. This is turning into an itch.